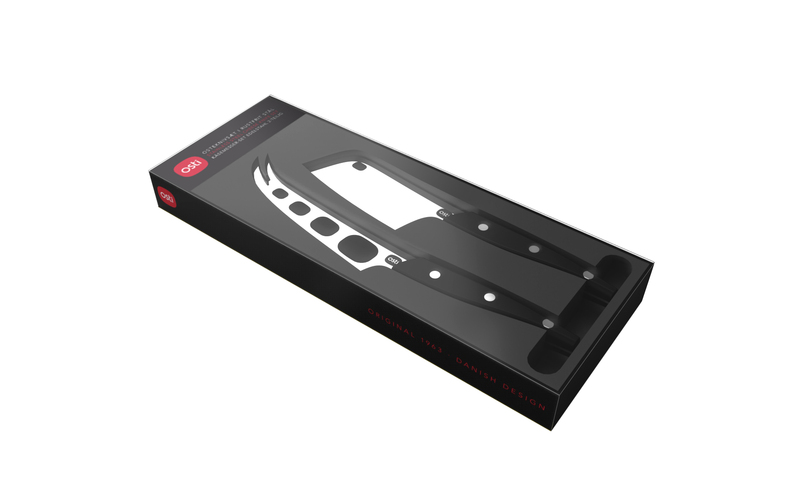 Introducing our brand new, full set of cheese knives in attractive 2 piece and 3 piece gift boxes and as single knives. The knives have been developed in cooperation with leading cheese mongers. 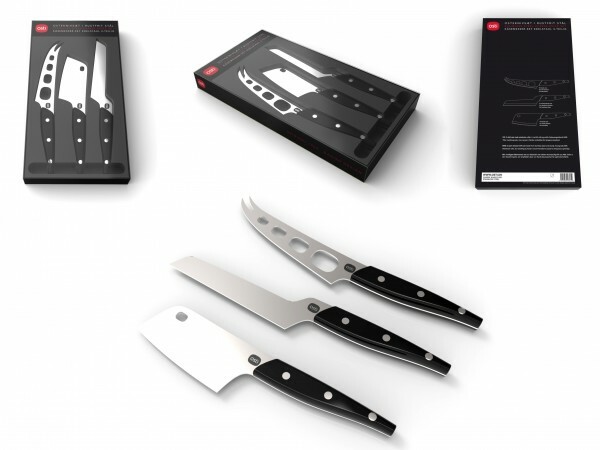 The knives have a unique Danish design. The knife with the holes in the blade, has been made for the soft cheeses, like Camembert, Brie, Gorgonzola, Stilton and Danablu and similar varietes. The massive one of the three knives, has been created to “chop” from the hard types of cheese, like Parmesan, Pecorini and hard Cheddar. The final knife, has been especially developed to handle the semi hard, yellow cheeses like Havarti, Danbo, Gouda and Jarlsberg. Beautiful and functional knives, that can be used for gifts or self-indulgence. The knives are able to handle a wide array of cheeses. All the knives have been created in robust, food friendly ABS and stainless steel. 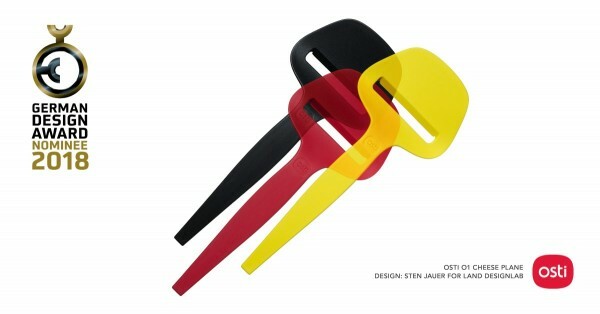 Presenting the very limited edition new exclusive cheese slicer from award winning Osti. The Osti 832 copper is Danish design, in the well known, friendly, durable, highly functional and unique Osti style, which has been standard inventory in millions of kitchens, for decades. The double-wired Osti 832 cheese slicer cuts both thin and thick slices. Use the integrated cheese fork to lift the slices. 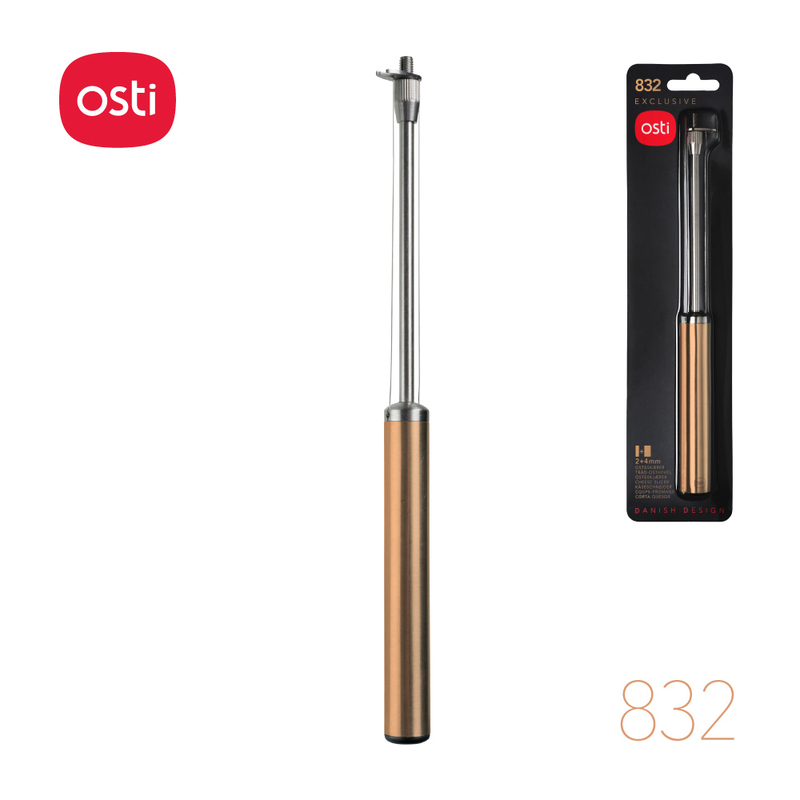 The Osti 832 is made to last from durable stainless steel, that has been infused with copper color. 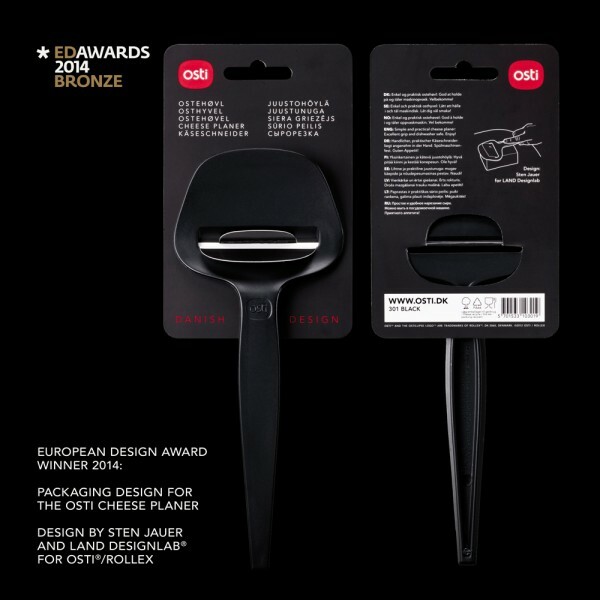 The colourful cheese planer with excellent cutting ability and a practical non-stick surface can now add winner of a Red Dot Design Award to its list of honours. 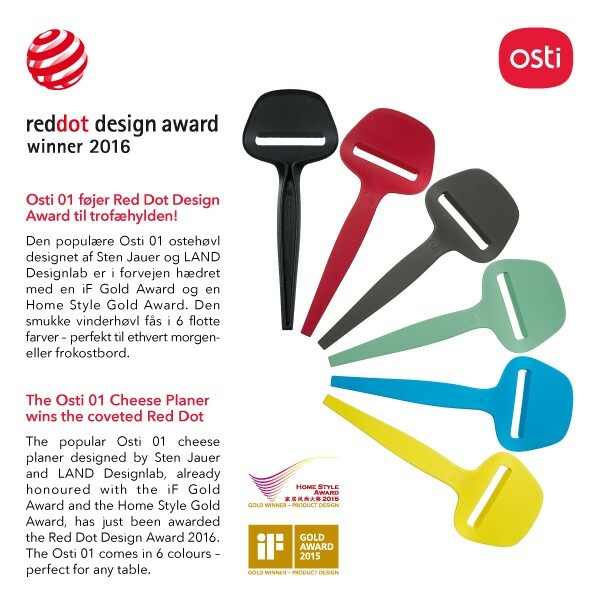 The Red Dot Award is widely considered one of the most prestigious design awards in the world – a seal of approval of excellent design and craftsmanship. 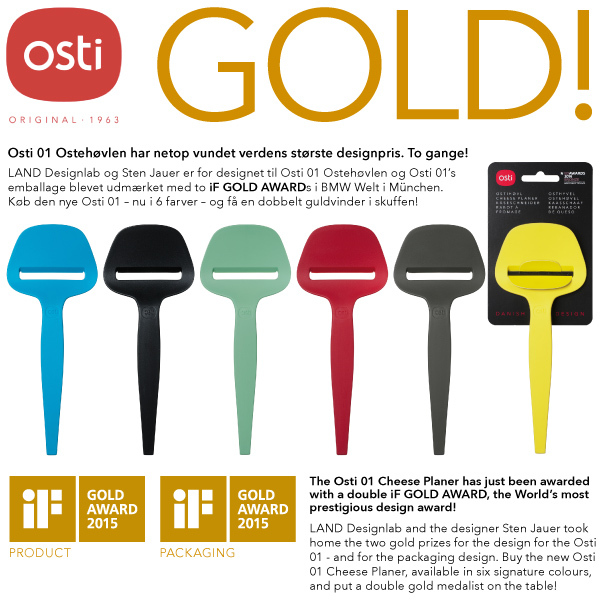 Last year, the Osti 01 was also awarded Gold at the iF Design Awards in Germany and a Home Style Gold Award in China, and the packaging has also received numerous awards in recent years. ‘It is a great joy to receive recognition from the jury at the Red Dot Award, because all recipients of this award are products that are singled out and honoured for unique design and outstanding functionality. Naturally, we are proud and humbled at the same time to receive such an award, says managing director Peter Hemmingsen. The design process, which was done in cooperation with Sten Jauer of LAND Designlab, was always focused on expressing the core values of Osti: Thoughtfulness, craftsmanship, uncomplicated and an inviting form in the design of the product. And, dare we say, the broad international recognition that has been the result seems to indicate that Osti succeeded.